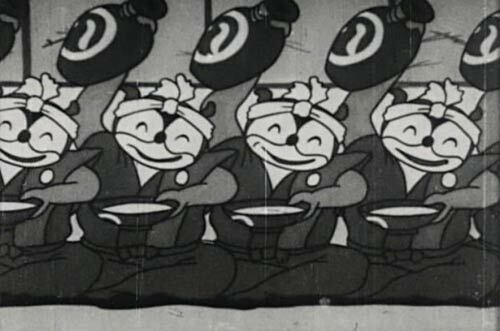 La Cinémathèque Québecoise in Montreal is hosting the largest retrospective of early Japanese animation to ever take place outside of Japan. Just last month that distinction went to the Japan Society’s selection of films in New York. Starting February 27 and continuing to April 5, the special Montreal screenings of Japanese animation from 1924 to 1952 will feature 53 films in 16mm and 35mm, including one feature—Japan’s first—Momotaru, The God Soldier of the Seas. National Film Center/Museum of Modern Art of Tokyo curator Akira Tochigi was in town to inaugurate the event and led a conference on February 29 on early Japanese animation. A full schedule is available on the CQ website (French only), and Facebook, with a sampling of the shorts. A bilingual (French and English) program for the retrospective is available at the Cinémathèque.